Our mission is to analyze the mechanisms of vision-threatening retinal diseases* and develop new therapeutic strategies. Because the diseases progress with age, we focus on the mechanisms of cellular aging and metabolism in the retinal neurons and the retinal pigment epithelium (RPE). We explore new concepts for preventive therapies focusing on oxidative stress and inflammation as key pathogenic mechanisms. In addition, we recently showed some candidate drugs for preventing photoreceptor cell death in retinitis pigmentosa using the patient’s induced pluripotent stem (iPS) cells, and now, we are going to show the biological significance of the drugs utilizing disease model mice. Clinical samples are also useful to confirm the hypotheses developed in the animal or cellular experiments. *Our current target diseases: diabetic retinopathy, age-related macular degeneration, retinitis pigmentosa, and glaucomatous optic neuropathy. Excessive oxidative stress has been reported to cause cellular dysfunction, however, its influence and the underlying molecular mechanism of the retinal neural damage have not been fully understood. Our researches show the cross-talk between reactive oxygen species (ROS) and renin-angiotensin system (RAS) in diabetic retinopathy (Figure 1). Although light exposure is one of the risk factors of age-related macular degeneration (AMD), the mechanism also remains elusive. We showed that the light exposure disrupts cell-cell adhesion (Figure 2) and actin cytoskeleton and induces inflammatory cytokines in the retinal pigment epithelium (RPE). Now, we further study to find underlying molecular mechanism of the retinal pathogenesis in order for exploring a new therapeutic approach to prevent the diseases. We also found that accumulated oxidative stress by superoxide dismutase 1 deficiency reduces retinal ganglion cells (RGCs) with aging which is involved in glaucoma. Oxidative stress in the RGCs was also related to RAS activation, which further suggests the involvement of cross talk between RAS and ROS in the retinal pathogenesis. Interestingly, the critical influences of the oxidative stress in the retina were cancelled by lutein, which is an anti-oxidant taken from food and delivered to the retina in mammals. We analyze the biological effects of lutein, at molecular levels, using animal models of diabetes, inflammation, and light-exposure. These studies fit to the movement of “Agro-medicine”, in which highly-functional agricultural crops are utilized for the preventive therapy and healthy life. We have previously published several papers which demonstrate the inflammatory changes of the retinal vascular and neural systems. Underlying mechanism of inducing inflammatory cytokine and inflammatory cells which may cause age-related macular degeneration (AMD), and their roles are one of our recent topic. Now, we focus on “Neuroinflammation” using a mouse model of endotoxin-induced uveitis (EIU). This is the concept that inflammatory signaling pathways activated in the neurons cause pathogenesis (Fuigure 3). Besides, inflammatory cytokine can be produced in the neural tissue. This concept will be important to establish new approach in the vision-threatening retinal diseases. Cross-talk between inflammatory signaling pathway and ROS is also a topic. Further investigation is continued to explore the molecular mechanism of inflammation in the retina. To study the pathogenesis of genetically abnormal diseases requires a system to reconstruct the abnormality ex vivo. However, to obtain and expand human retinal cells had previously been an impossible task. 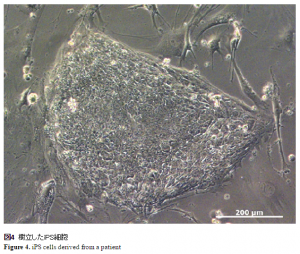 Here, iPS cells, which can be introduced by the patients’ skin cells and differentiated into retinal cells, have shed light on these kinds of researches. We have generated iPS cell lines from a patient with retinitis pigmentosa (Figure 4), and now we are investigating the mechanism of the disease using this in vitro system. Nagai N, Ohta Y, Izumi-Nagai K, Shinoda H, Tsubota K, Ozawa Y*. Sneddon’s syndrome with optic disc macroaneurysm and macular edema successfully treated with subtenon steroid injection. Acta Ophthalmologica. 2015. Ozawa Y*, Koto T, Shinoda H, Tsubota K. Vision loss by central retinal vein occlusion after Kaatsu training: a case report. Medicine (Baltimore). 2015 Sep; 94(36):e1515. Tomita Y, Kurihara T, Uchida A, Nagai N, Shinoda H, Tsubota K, Ozawa Y*. Wide-Angle Viewing System versus Conventional Indirect Ophthalmoscopy for Scleral Buckling. Scientific Reports. 2015 Sep 2;5:13256. Yotsukura-Tsutsui E, Koto T, Tsubota K, Ozawa Y*. Predisposing factors for IOL dislocation treated by pars plana vitrectomy; Involvement of atopic dermatitis. Journal of Cataract and Refractive Surgery. 2015 Apr; 41(4):892-4. Narimatsu T, Negishi K, Miyake S, Hirasawa M, Kurihara T, Tsubota K, Ozawa Y*. Blue light-induced inflammatory marker expression in the retinal pigment epithelium-choroid of mice and the protective effect of a yellow intraocular lens material in vivo. Experimental Eye Research. 2015 Jan 7; 132C:48-51. Ozawa Y*, Kawashima M, Inoue S, Inagaki E, Suzuki A, Ooe E, Kobayashi S, Tsubota K. Bilberry extract supplementation for preventing eye fatigue in video display terminal workers. The journal of nutrition, health & aging 2015 May; 19(5):548-54. Nagai N, Izumi-Nagai K, Suzuki M, Shinoda H,Koto T, Uchida A, Mochimaru H, Tomita Y, Miyake S, Kobayashi S, Sasaki M, Tsubota K, Ozawa Y*. Association of Macular Pigment Optical Density (MPOD) with serum concentration of oxidized low-density lipoprotein (oxidized LDL) in Healthy Adults. Retina. 2015 Apr; 35(4):820-6. Ono T, Yuki K, Asaoka R, Kouyama K, Abe T, Tanabe S, Fukagawa K, Uchino M, Shimoyama M, Ozawa Y, Ozeki N, Shiba D, Tsubota K. Glaucomatous Visual Field Defect Severity and the Prevalence of Motor Vehicle Collisions in Japanese: A Hospital/Clinic-Based Cross-Sectional Study. Journal of Ophthalmology 2015; 2015:497067. Ono T, Yuki K, Awano-Tanabe S, Fukagawa K, Shimoyama M, Ozawa Y, Ozeki N, Shiba D, Tsubota K. Driving self-restriction and motor vehicle collision occurrence in glaucoma. Optom Vis Sci. 2015 Mar; 92(3):357-64. Kamoshita M, Matsumoto Y, Nishimura K, Katono Y, Murata M, Ozawa Y, Shimmura S, Tsubota K. Wickerhamomyces anomalus Fungal Keratitis Responds to Topical Treatment with Antifungal Micafungin. Journal of Infection and Chemotherapy. 2015 Feb; 21(2):141-3. Fujinami K, Jana Zernant, Ravinder K Chana, Genevieve A Wright, Tsunoda K, Ozawa Y, Tsubota K, Anthony G Robson, Graham E Holder, Rando Allikmets, Michel Michaelides, Anthony T Moore. Clinical and Molecular Characteristics of Childhood-onset Stargardt Disease. Ophthalmology. 2015 Feb; 122(2):326-34. Okamoto T, Shinoda H, Kurihara T, Nagai N Tsubota K, Ozawa Y*. Intraoperative and fluorescein angiographic findings of a secondary macular hole associated with age-related macular degeneration treated by pars plana vitrectomy. BMC Ophthalmology. 2014 Sep 30; 14:114. Kamoshita M, Ozawa Y*, Kubota S, Miyake S, Tsuda C, Nagai N, Yuki K, Shimmura S, Umezawa K, Tsubota K. AMPK-NF-κB Axis in the Photoreceptor Disorder during Retinal Inflammation. PLOS ONE 2014 Jul 21; 9(7):e103013. Yoshida T, Ozawa Y*, Suzuki K, Yuki K, Ohyama M, Akamatsu W, Matsuzaki Y, Shimmura S, Mitani K, Tsubota K, Okano H. The use of induced pluripotent stem cells to reveal pathogenic gene mutations and explore treatments for retinitis pigmentosa. Mol Brain. 2014 Jun 16; 7:45. Nagai N, Kubota S, Tsubota K, Ozawa Y*. Resveratrol Prevents the Development of Choroidal Neovascularization by Modulating AMP-activated Protein Kinase in Macrophages and Other Cell Types. J Nutr Biochem. 2014 Nov; 25(11):1218-25. Sasaki M, Kawasaki R, Uchida A, Koto T, Shinoda H, Tsubota K, Tien Yin Wong, Ozawa Y*. Early Signs of Exudative Age-related Macular Degeneration in Asians. Optometry and Vision Science. 2014 Aug; 91(8):849-53. Uchida A, Miwa M, Shinoda H, Koto T, Nagai N, Mochimaru H, Tomita Y, Sasaki M, Ikeda K, Tsubota K, Ozawa Y*. Association of Maternal Age to Development and Progression of Retinopathy of Prematurity in Infants of Gestational Age under 33 Weeks. J Ophthalmol. 2014; 2014: 187929. Suzuki M, Nagai N, Izumi-Nagai K, Shinoda H, Koto T, Uchida A, Mochimaru H, Yuki K, Sasaki M, Tsubota K, Ozawa Y*. Predictive factors for non-responders to intravitreal ranibizumab treatment in age-related macular degeneration. Br J Ophthalmol. 2014 Sep; 98(9):1186-91. Narimatsu T, Ozawa Y*, Miyake S, Nagai N, Tsubota K. Angiotensin II type 1 receptor blockade suppresses light-induced neural damage in the mouse retina. Free Radical Biol Med. 2014 Mar 22; 71:176-185. Miyake S, Kobayashi S, Tsubota K, Ozawa Y*. Phase II enzyme induction by a carotenoid, lutein, in a PC12D neuronal cell line. Biochem Biophys Res Commun. 2014 Apr 4; 446(2):535-40. Sasaki M, Kawashima M, Kawasaki R, Uchida A, Koto T, Shinoda H, Tsubota K, Jie Jin Wang, Ozawa Y*. Association of Serum Lipids with Macular Thickness and Volume in Type 2 Diabetes without Diabetic Macular Edema. Invest Ophthalmol Vis Sci. 2014 Mar 20; 55(3):1749-53. Narimatsu T, Ozawa Y*, Miyake S, Kubota S, Yuki K, Nagai N, Tsubota K. Biological effects of blocking blue and other visible light on the mouse retina. Clinical & Experimental Ophthalmology. 2014 Aug; 42(6):555-63. Uchida A, Shinoda H, Koto T, Mochimaru H, Nagai N, Tsubota K, Ozawa Y*. Vitrectomy for myopic foveoschisis with internal limiting membrane peeling and no gas tamponade. Retina. 2014 Mar; 34(3): 455-60. Kudo M, Wada S, Ogawa T, Namiki S, Ozawa Y, Tsubota K, Shinjo A, Suzuki K. Possibility of medical prevention of age-related macular degeneration using confocal micro-imaging system.Int. J. of Nanomanufacturing. 2014; 10(4):321-331. Ando R, Noda K, Tomaru U, Kamoshita M, Ozawa Y, Notomi S, Hisatomi T, Noda M, Kanda A, Ishibashi T, Kasahara M, Ishida S. Decreased proteasomal activity causes photoreceptor degeneration in mice. Invest Ophthalmol Vis Sci. 2014 Jul 3; 55(7):4682-90. Ozawa Y*, Suzuki M, Niikura N, Kamoshita M, Nagai N, Tsubota K. Neuroprotective Role of VEGF Induced in Response to Photodynamic Therapy. Advances in Neuroimmune Biology 2013 Volume 4 (3):161-165. Ban N, Ozawa Y*, Inaba T, Miyake S, Watanabe M, Shinmura K, Tsubota K. Light-dark condition regulates sirtuin mRNA levels in the retina. Exp Gerontol. 2013 Nov; 48(11):1212-7. Narimatsu T, Ozawa Y*, Miyake S, Kubota S, Hirasawa M, Nagai N, Shimmura S, Tsubota K. Disruption of cell-cell junctions and induction of pathological cytokines in the retinal pigment epithelium of light-exposed mice. Invest Ophthalmol Vis Sci. 2013 Jul 8; 54(7):4555-62. Ozawa Y*, Kamoshita M, Narimatsu T, Ban N, Toda E, Okamoto T, Yuki K, Miyake S Tsubota K. Neuroinflammation and Neurodegenerative Disorders of the Retina. Endocrinology & Metabolic Syndrome. 2013 May 22; 2:111. Yuki K, Yoshida T, Seiji M, Tsubota K, Ozawa Y*. Neuroprotective Role of Superoxide Dismutase 1 in Retinal Ganglion Cells and Inner Nuclear layer Cells against N-methyl-D-aspartate-induced cytotoxicity. Exp Eye Res., 2013 Oct; 115: 230-8. Nishi Y, Shinoda H, Uchida A, Koto T, Mochimaru H, Nagai N, Tsubota K, Ozawa Y*. Detection of Early Visual Impairment in Patients with Epiretinal Membrane. Acta Ophthalmologica. 2013 Aug; 91(5):e353-7. Ozawa Y*, Yuki K, Yamagishi R, Tsubota K, Aihara M. Renin–angiotensin system involvement in the oxidative stress-induced neurodegeneration of cultured retinal ganglion cells. Jpn J Ophthalmol. 2013 Jan; 57(1):126-32. Kanda A, Noda K, Yuki K, Ozawa Y, Furukawa T, Ichihara A, Ishida S. Atp6ap2/(pro)renin receptor interacts with Par3 a cell polarity determinant required for laminar formation during retinal development in mice. J Neurosci. 2013 Dec 4; 33(49):19341-51. Fujinami K, Zernant J, Chana RK, Wright GA, Tsunoda K, Ozawa Y, Tsubota K, Webster AR, Moore AT, Allikmets R, Michaelides M. ABCA4 Gene Screening by Next-Generation Sequencing in a British Cohort. Invest Ophthalmol Vis Sci 2013 Oct 11; 54(10):6662-74. Yuki K, Tanabe S, Kouyama K, Fukagawa K, Uchino M, Shimoyama M, Ozeki N, Shiba D, Ozawa Y, Abe T, Tsubota K. The Association between Visual Field Defect Severity and Fear of Falling in Primary Open-Angle Glaucoma. Invest Ophthalmol Vis Sci. 2013 Nov 21; 54(12):7739-45. Yaguchi S, Ogawa Y, Shimmura S, Kawakita T, Hatou S, Satofuka S, Nakamura S, Imada T, Miyashita H, Yoshida S, Yaguchi T, Ozawa Y, Mori T, Tsubota K. Angiotensin II Type 1 Receptor Antagonist Attenuates Lacrimal Gland, Lung, and Liver Fibrosis in a Murine Model of Chronic Graft-Versus-Host Disease. PLoS ONE. 2013 Jun 6; 8(6):e64724. Kawashima M, Ozawa Y, Shinmura K, Inaba T, Nakamura S, Kawakita T, Watanabe M, Tsubota K. Calorie restriction (CR) and CR mimetics for the prevention and treatment of age-related eye disorders. Exp Gerontol. 2013 Oct; 48(10):1096-100. 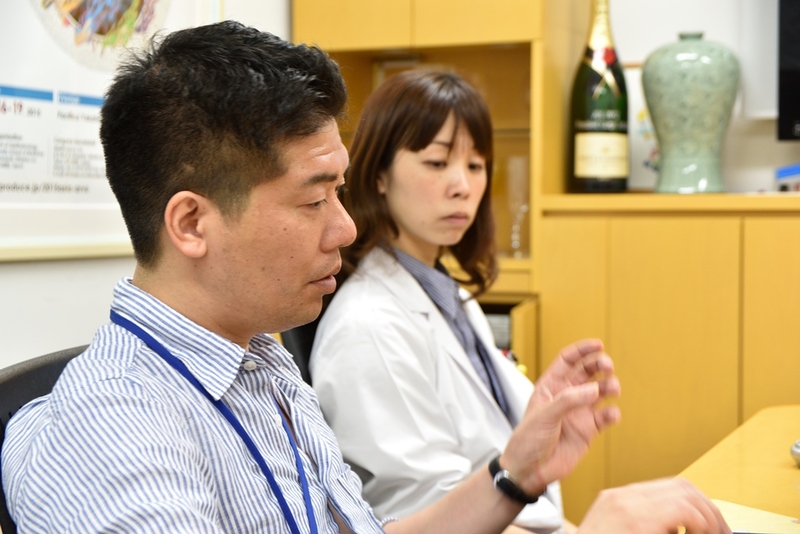 Yoshikawa N, Noda K, Ozawa Y, Mashima Y, Ishida S. Blockade for Vascular Adsion Protein-1 Suppresses Pathological Neovascularization in Oxygen-Induced Retinopathy. Acta Ophthalmologica. 2013 Aug; 91(5):e409-10. Fujinami K, Tsunoda K, Nakamura N, Kato Y, Noda T, Shinoda K, Tomita K, Hatase T, Usui T, Akahori M, Itabashi T, Iwata T, Ozawa Y, Tsubota K, Miyake Y. Molecular Characteristics of Four Japanese Cases with KCNV2-retinopathy: Report of Novel Disease-causing Variants. Molecular Vision. 2013 Jul 20; 19:1580-90. Yoshikawa N, Noda K, Shinoda H, Uchida A, Ozawa Y, Tsubota K, Mashima Y, Ishida S. Serum vascular adhesion protein-1 correlates with vascular endothelial growth factor in patients with type II diabetes. J Diabetes Complications. 2013 Mar-Apr; 27(2):162-6. Miyake S, Sasaki M, Takahashi N, Tsubota K, Ozawa Y*. Photo-damage mechanisms and anti-apoptotic effect of lutein in the mouse retina. Inflammation and Regeneration. 32(5), 208-212, 2012. Miyake S, Takahashi N, Sasaki M, Kobayashi S, Tsubota K, Ozawa Y*. Vision preservation during retinal inflammation by anthocyanin-rich bilberry extract: cellular and molecular mechanism. Lab Invest. 2012 Jan; 92(1):102-9. Sasaki M, Yuki K, Kurihara T, Miyake S, Noda K, Kobayashi S, Ishida S, Tsubota K, Ozawa Y*. Biological role of lutein in the light-induced retinal degeneration. J Nutr Biochem. 2012 May; 23(5):423-9. Sasaki M, Shinoda H, Koto T, Uchida A, Tsubota K, Ozawa Y*. Use of micronutrient supplement for preventing advanced Age-related Macular Degeneration in Japan. Archives of Ophthalmology. 2012 Feb; 130(2):254-5. Ozawa Y*, Sasaki M, Takahashi N, Kamoshita M, Miyake S, Tsubota K. Neuroprotective Effects of Lutein in the Retina. Current Pharmaceutical Design. 2012; 18(1):51-6. Kurihara T, Ozawa Y, Ishida S, Okano H, Tsubota K. Renin-Angiotensin system hyperactivation can induce inflammation and retinal neural dysfunction. Int J Inflam. 2012; 2012:581695. Yaguchi S, Ogawa Y, Shimmura S, Hatou S, Nakamura S, Inaba T, Imada T, Ozawa Y, Kawakami Y, Ishida S, Tsubota K. Presence and physiologic function of the renin-angiotensin system in mouse lacrimal gland. Invest Ophthalmol Vis Sci. 2012 Aug 13; 53(9):5416-25. Murata M, Noda K, Fukuhara J, Kanda A, Kase S, Saito W, Ozawa Y, Mochizuki S, Kimura S, Mashima Y, Okada Y, Ishida S. Soluble Vascular Adhesion Protein-1 Accumulates in Proliferative Diabetic Retinopathy. Invest Ophthalmol Vis Sci. 2012 Jun 26; 53(7):4055-62. Yoshikawa N, Noda K, Ozawa Y, Tsubota K, Mashima Y, Ishida S. Blockade of vascular adhesion protein-1 attenuates choroidal neovascularization. Mol Vis. 2012; 18:593-600. Oshima CR, Yuki K, Uchida A, Dogru M, Koto T, Ozawa Y, Tsubota K. The Vision Van, a Mobile Eye Clinic, Aids Relief Efforts in Tsunami-stricken Areas. Keio J Med. 2012; 61(1):10-4. Nakamura-Ishizu A, Kurihara T, Okuno Y, Ozawa Y, Kishi K, Goda N, Tsubota K, Okano H, Suda T, Kubota Y. The formation of an angiogenic astrocyte template is regulated by the neuroretina in a HIF-1-dependent manner. Dev Biol. 2012 Mar 1; 363(1):106-14. Uchida A, Shinoda K, Matsumoto C.S, Kawai M, Kawai S, Ohde H, Ozawa Y, Ishida S, Inoue M, Mizota A, Tsubota K. Acute visual field defect following vitrectomy determined to originate from optic nerve by electrophysiological tests. Case Rep Ophthalmol. 2012 Sep; 3(3):396-405. Ozawa Y*, Kurihara T, Tsubota K, Okano H. Regulation of posttranscriptional modification as a possible therapeutic approach for retinal neuroprotection. J Ophthalmol. 2011; 2011:506137. Ozawa Y*, Kurihara T, Sasaki M, Ban N, Yuki K, Kubota S, Tsubota K. Neural degeneration in the retina of the streptozotocin (STZ)-induced type 1 diabetes model.Experimental Diabetes Research. 2011; 2011:108328. Kubota S, Ozawa Y*, Kurihara T, Sasaki M, Yuki K, Miyake S, Noda K, Ishida S, Tsubota K. Roles of AMP-Activated Protein Kinase in Diabetes-Induced Retinal Inflammation. Invest Ophthalmol Vis Sci. 2011 Nov 25; 52(12):9142-8. Shinoda H, Koto T, Fujiki K, Murakami A, Tsubota K, Ozawa Y*. Clinical findings in a choroideremia patient who underwent vitrectomy for retinal detachment associated with macular hole. Jpn J Ophthalmol. 2011 Mar; 55(2):169-71. Suzuki M, Ozawa Y*, Kubota S, Hirasawa M, Miyake S, Noda K, Tsubota K, Kadonosono K, Ishida S. Neuroprotective response after photodynamic therapy: Role of vascular endothelial growth factor. J Neuroinflammation. 2011 Dec 16; 8:176. Yuki K, Ozawa Y*, Yoshida T, Kurihara T, Hirasawa M, Ozeki N, Shiba D, Noda K, Ishida S, Tsubota K. Retinal ganglion cell loss in superoxide dismutase 1 deficiency. Invest Ophthalmol Vis Sci. 2011 Jun 13; 52(7):4143-50. Hirasawa M, Noda K, Noda S, Suzuki M, Ozawa Y, Shinoda K, Inoue M, Ogawa Y, Tsubota K, Ishida S. Transcriptional factors associated with epithelial-mesenchymal transition in choroidal neovascularization. Mol Vis. 2011; 17:1222-30. Kubota M, Shimmura S, Kubota S, Miyashita H, Kato N, Noda K, Ozawa Y, Usui T, Ishida S, Umezawa K, Kurihara T, Tsubota K. Hydrogen and N-acetyl-L-cysteine rescue oxidative stress-induced angiogenesis in a mouse corneal alkali-burn model. Invest Ophthalmol Vis Sci. 2011 Jan 21; 52(1):427-33. Kurihara T, Kubota Y, Ozawa Y, Takubo K, Noda K, Simon MC, Johnson RS, Suematsu M, Tsubota K, Ishida S, Goda N, Suda T, Okano H. von Hippel-Lindau protein regulates transition from the fetal to the adult circulatory system in retina. Development. 2010 May; 137(9):1563-71. Suzuki M, Noda K, Kubota S, Hirasawa M, Ozawa Y, Tsubota K, Mizuki N, Ishida S. Eicosapentaenoic acid suppresses ocular inflammation in endotoxin-induced uveitis. Mol Vis. 2010 Jul 17; 16:1382-8. Kubota S, Kurihara T, Ebinuma M, Kubota M, Yuki K, Sasaki M, Noda K, Ozawa Y, Oike Y, Ishida S, Tsubota K. Resveratrol prevents light-induced retinal degeneration via suppressing activator protein-1 activation. Am J Pathol. 2010 Oct; 177(4):1725-31. Tomita Y, Noda K, Shinoda H, Ozawa Y, Tsubota K, Ishida S. Secondary macular hole formation with presumed evulsion of foveal hard exudates in a patient with diabetic retinopathy. Jpn J Ophthalmol. 54(4):366-8, 2010. Sugisaka E, Shinoda K, Sano RY, Ishida S, Imamura Y, Ozawa Y, Shinoda H, Suzuki K, Tsubota K, Inoue M. Mechanism of visual sensations experienced during pars plana vitrectomy under retrobulbar anesthesia. Ophthalmologica. 2010; 224(2):103-8. Hirasawa M, Noda K, Shinoda H, Ozawa Y, Tsubota K, Ishida S. Secondary macular hole associated with central retinal vein occlusion treated with corticosteroid injection. Jpn J Ophthalmol. 2009 May; 53(3):279-81. Satofuka S, Ichihara A, Nagai N, Noda K, Ozawa Y, Fukamizu A, Tsubota K, Itoh H, Oike Y, Ishida S. (Pro)renin receptor-mediated signal transduction and tissue renin-angiotensin system contribute to diabetes-induced retinal inflammation. Diabetes. 2009 Jul;　58(7):1625-33. Mochimaru H, Takahashi E, Tsukamoto N, Miyazaki J, Yaguchi T, Koto T, Kurihara T, Noda K, Ozawa Y, Ishimoto T, Kawakami Y, Tanihara H, Saya H, Ishida S, Tsubota K. Involvement of hyaluronan and its receptor CD44 with choroidal neovascularization. Invest Ophthalmol Vis Sci. 2009 Sep; 50(9):4410-5. Kubota S, Kurihara T, Mochimaru H, Satofuka S, Noda K, Ozawa Y, Oike Y, Ishida S, Tsubota K. Prevention of ocular inflammation in endotoxin-induced uveitis with resveratrol by inhibiting oxidative damage and nuclear factor-kappaB activation. Invest Ophthalmol Vis Sci. 2009 Jul; 50(7):3512-9. Kurihara T, Omoto M, Noda K, Ebinuma M, Kubota S, Koizumi H, Yoshida S, Ozawa Y, Shimmura S, Ishida S, Tsubota K. Retinal phototoxicity in a novel murine model of intraocular lens implantation. Mol Vis. 2009 Dec 12; 15:2751-61. Ozawa Y, Ishida S, Tsubota K. Age-related macular degeneration (AMD); From pathogenesis and approved therapies to proposed treatments for prevention. Anti-Aging Medicine 5 (8), 2008. Susaki K, Kaneko J, Yamano Y, Nakamura K, Inami W, Yoshikawa T, Ozawa Y, Shibata S, Matsuzaki O, Okano H, Chiba C. Musashi-1, an RNA-binding protein, is indispensable for survival of photoreceptors. Exp Eye Res. 2009 Mar; 88(3):347-55. Hashizume K, Hirasawa M, Imamura Y, Noda S, Shimizu T, Shinoda K, Kurihara T, Noda K, Ozawa Y, Ishida S, Miyake Y, Shirasawa T, Tsubota K. Retinal dysfunction and progressive retinal cell death in SOD1-deficient mice. Am J Pathol. 2008 May; 172(5):1325-31. Izumi-Nagai K, Nagai N, Ohgami K, Satofuka S, Ozawa Y, Tsubota K, Ohno S, Oike Y, Ishida S. Inhibition of choroidal neovascularization with an anti-inflammatory carotenoid astaxanthin. Invest Ophthalmol Vis Sci. 2008 Apr; 49(4):1679-85. Ozawa Y, Nakao K, Kurihara T, Shimazaki T, Shimmura S, Ishida S, Yoshimura A, Tsubota K, Okano H. Roles of STAT3/SOCS3 pathway in regulating the visual function and ubiquitin-proteasome-dependent degradation of rhodopsin during retinal inflammation. J Biol Chem. 2008 Sep 5; 283(36):24561-70. Satofuka S, Ichihara A, Nagai N, Noda K, Ozawa Y, Fukamizu A, Tsubota K, Itoh H, Oike Y, Ishida S. (Pro)renin receptor promotes choroidal neovascularization by activating its signal transduction and tissue renin-angiotensin system. Am J Pathol. 2008 Dec; 173(6):1911-8. Satofuka S, Imamura Y, Ishida S, Ozawa Y, Tsubota K, Inoue M. Rhegmatogenous retinal detachment associated with primary congenital glaucoma. Int Ophthalmol. 2008 Oct; 28(5):369-71. Shinoda H, Shinoda K, Satofuka S, Imamura Y, Ozawa Y, Ishida S, Inoue M. Visual recovery after vitrectomy for macular hole using 25-gauge instruments. Acta Ophthalmol. 2008 Mar; 86(2):151-5. Izumi-Nagai K, Nagai N, Ohgami K, Satofuka S, Ozawa Y, Tsubota K, Umezawa K, Ohno S, Oike Y, Ishida S. Macular pigment lutein is antiinflammatory in preventing choroidal neovascularization. Arterioscler Thromb Vasc Biol. 2007 Dec; 27(12):2555-62. Izumi-Nagai K, Nagai N, Ozawa Y, Mihara M, Ohsugi Y, Kurihara T, Koto T, Satofuka S, Inoue M, Tsubota K, Okano H, Oike Y, Ishida S. Interleukin-6 receptor-mediated activation of signal transducer and activator of transcription-3 (STAT3) promotes choroidal neovascularization. Am J Pathol. 2007 Jun; 170(6):2149-58. Koto T, Nagai N, Mochimaru H, Kurihara T, Izumi-Nagai K, Satofuka S, Shinoda H, Noda K, Ozawa Y, Inoue M, Tsubota K, Oike Y, Ishida S.　Eicosapentaenoic acid is anti-inflammatory in preventing choroidal neovascularization. Invest Ophthalmol Vis Sci. 2007 Sep; 48(9):4328-34. 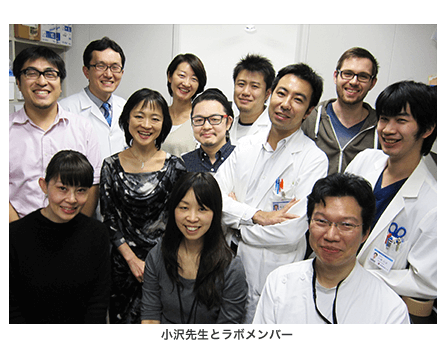 Mochimaru H, Nagai N, Hasegawa G, Kudo-Saito C, Yaguchi T, Usui Y, Kurihara T, Koto T, Satofuka S, Shinoda H, Ozawa Y, Tsubota K, Kawakami Y, Ishida S. Suppression of choroidal neovascularization by dendritic cell vaccination targeting VEGFR2. Invest Ophthalmol Vis Sci. 2007 Oct;48 (10):4795-801. Nagai N, Izumi-Nagai K, Oike Y, Koto T, Satofuka S, Ozawa Y, Yamashiro K, Inoue M, Tsubota K, Umezawa K, Ishida S. Suppression of diabetes-induced retinal inflammation by blocking the angiotensin II type 1 receptor or its downstream NF-kB pathway. Invest Ophthalmol Vis Sci. 2007 Sep; 48(9):4342-50. Nagai N, Oike Y, Izumi-Nagai K, Koto T, Satofuka S, Shinoda H, Noda K, Ozawa Y, Inoue M, Tsubota K, Ishida S.　Suppression of choroidal neovascularization by inhibiting angiotensin-converting enzyme: Minimal role of bradykinin. Invest Ophthalmol Vis Sci. 2007 May; 48(5):2321-6. Ozawa Y, Nakao K, Shimazaki T, Shimmura S, Kurihara T, Ishida S, Yoshimura A, Tsubota K, Okano H. SOCS3 is required to temporally fine-tune photoreceptor cell differentiation. Dev Biol. 2007 Mar 15; 303(2):591-600. Satofuka S, Ichihara A, Nagai N, Koto T, Shinoda H, Noda K, Ozawa Y, Inoue M, Tsubota K, Itoh H, Oike Y, Ishida S.　Role of nonproteolytically activated prorenin in pathologic, but not physiologic, retinal neovascularization. Invest Ophthalmol Vis Sci. 2007 Jan; 48(1):422-9. Sugisaka E, Shinoda K, Ishida S, Imamura Y, Ozawa Y, Shinoda H, Suzuki K, Tsubota K, Inoue M. Patients’ descriptions of visual sensations during pars plana vitrectomy under retrobulbar anesthesia. Am J Ophthalmol. 2007 Aug; 144(2):245-51. Nagai N, Oike Y, Izumi-Nagai K, Urano T, Kubota Y, Noda K, Ozawa Y, Inoue M, Tsubota K, Suda T, Ishida S. Angiotensin II type 1 receptor-mediated inflammation is required for choroidal neovascularization. Arterioscler Thromb Vasc Biol. 2006 Oct; 26(10):2252-9. Satofuka S, Ichihara A, Nagai N, Yamashiro K, Koto T, Shinoda H, Noda K, Ozawa Y, Inoue M, Tsubota K, Suzuki F, Oike Y, Ishida S. Suppression of ocular inflammation in endotoxin-induced uveitis by inhibiting nonproteolytic activation of prorenin. Invest Ophthalmol Vis Sci. 2006 Jun; 47(6):2686-92. Sugisaka E, Shinoda K, Ishida S, Imamura Y, Ozawa Y, Nakajima T, Shinoda H, Suzuki K, Kawaguchi N, Inoue M. Visual Sensations during Vitrectomy. Ophthalmology. 2006 Oct; 113(10):1886.e1-2. Nagai N, Oike Y, Noda K, Urano T, Kubota Y, Ozawa Y, Shinoda H, Koto T, Shinoda K, Inoue M, Tsubota K, Yamashiro K, Suda T, Ishida S. Suppression of ocular inflammation in endotoxin-induced uveitis by blocking the angiotensin II type 1 receptor. Invest Ophthalmol Vis Sci. 2005 Aug; 46(8):2925-31. Ozawa Y, Nakao K, Shimazaki T, Takeda J, Akira S, Ishihara K, Hirano T, Oguchi Y, Okano H. Downregulation of STAT3 activation is required for presumptive rod photoreceptor cells to differentiate in the postnatal retina. Mol Cell Neurosci. 26(2): 258-270, 2004. Shinoda K, O’hira A, Ishida S, Hoshide M, Ogawa LS, Ozawa Y, Nagasaki K, Inoue M, Katsura H. Posterior synechia of the iris after combined pars plana vitrectomy, phacoemulsification, and intraocular lens implantation. Jpn J Ophthalmol. 45(3):276-80, 2001. Mashima Y, Shinoda K, Ishida S, Ozawa Y, Kudoh J, Iwata T, Oguchi Y, Shimizu N.Identification of four novel mutations of the XLRS1 gene in Japanese patients with X-linked juvenile retinoschisis. Mutation in brief no. 234. Online. Hum Mutat. 13(4):338, 1999. Ozawa Y. Light-dark condition regulates Sirtuins in the retina. 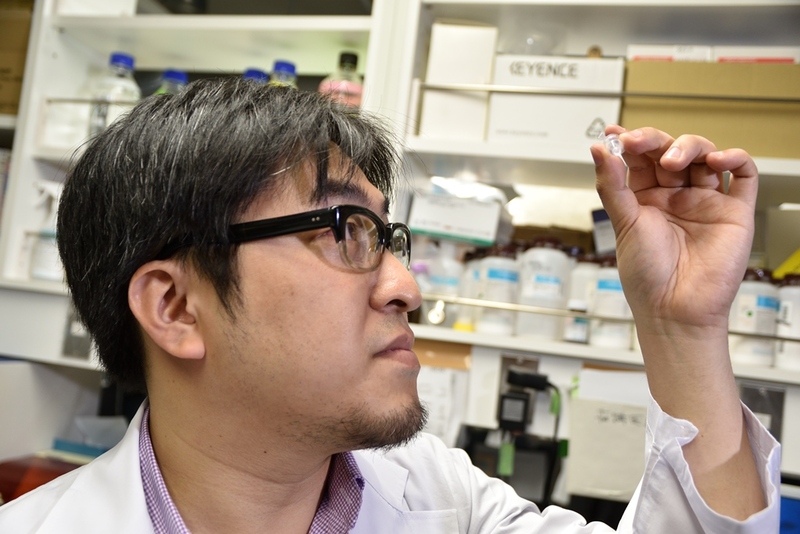 Ozawa Y. Neuroprotection against oxidative stress in the retina. Ozawa Y. Lutein’s effect to protect the retina. Ozawa Y. Nutrient Supplement for early AMD. Fujinami K. Stargardt Disease with Foveal Sparing Phenotype. Ozawa Y. Retinal photo-damage and the underlying mechanisms. Ozawa Y. The use of induced pluripotent stem cells (iPSCs) to reveal pathogenic gene mutations and explore treatments for retinitis pigmentosa. Fujinami K. Comprehensive clinical and electrophysiological assessment crucial for targeted genetic screening and molecular genetic diagnosis. Ozawa Y. Neurodegeneration in the diabetic retina. Ozawa Y. Light-induced inflammation in the underlying mechanism of AMD. 12th International Ocular Inflammation Society Congress, Valencia, Spain, 2014/2/27-2014/3/1. Ozawa Y. Disruption of cell-cell junctions and induction of pathological cytokines in the retinal pigment epithelium of light-exposed mice. Ozawa Y. Circadian Regulation of Sirtuins in the Eye. Education Course. Ozawa Y. Management of ME secondary to CRVO Macular edema secondary to Central Retinal Vein Occlusion. CRVO. Inflammatory mechanisms/oxidative stress, ISOHK-APGC, Hong Kong, 2014/9/26. Ozawa Y. Oxidative stress in the retina and the pathogenesis. Autumn meeting of Taiwan Ophthalmology Academy, Taiwan, 2014/10/5. Ozawa Y. Management of AMD; anti-VEGF and anti-oxidant approaches. Ozawa Y. Anti-VEGF therapy in DME. 3rd International Conference on Clinical & Experimental Ophthalmology, Chicago/Northbrook, USA, April 15-17, 2013. Ozawa Y. Renin-Angiotensin System (RAS) involvement in the Oxidative Stress-Induced Impairment of Retinal Neuronal Cells. Ozawa Y, Narimatsu T, Kazuo T. Disruption of cell-cell junctions and induction of pathological cytokines in the retinal pigment epithelium of light-exposed mice. Ozawa Y. The Neuroprotective Effect of Lutein in the Retina. Ozawa Y. Oxidative stress and diabetic retinopathy. Ozawa Y. Neuroinflammation in the retina and the mechanism of visual function impairment. Ozawa Y. Involvement of renin-angiotensin system with neuronal dysfunction in diabetic retinopathy. Ozawa Y. Inflammatory Signals in the Pathogenesis of Diabetic Retinopathy. Kamoshita M, Kurihara T, Nagai N, Osada H, Kobayashi S, Tsubota K, Ozawa Y. Lutein’s effect on repairing the tight junction of the retinal pigment epithelium induced by light exposure. Narimatsu T, Negishi K, Hirasawa M, KuriharaT, Tsubota K, Ozawa Y. Blue light induces inflammatory marker expression in the retinal pigment epithelium-choroid. Osada H, Okamoto T, Miyake S, Kobayashi S, Tsubota K, Ozawa Y. Neuro-protective effect of bilberry extract on the light-induced retinal degeneration in vivo. Kawashima H, Osada H, Okamoto T, Ban N, Kamoshita M, Kurihara T, Nagai N, Tsubota K, Ozawa Y. Light-induced retinal degeneration and AMPK. Okamoto T, Kamoshita M, Osada H, Toda E, Kurihara T, Nagai N, Tsubota K, Ozawa Y. Neuroprotective effect of rapamycin in the retina. Tomita Y, Kurihara T, Uchida A, Nagai N, Shinoda H, Tsubota K, Ozawa Y. Wide-Angle Viewing System versus Conventional Indirect Ophthalmoscopy for Scleral Buckling. World Ophthalmology Congress 2014 Tokyo, Japan, 2014/4/2-6. Narimatsu T, Nagai N, Kurihara T, Tsubota K, Ozawa Y. Influence of Renin-Angiotensin System on the Light-Induced Retinal Degeneration. Nagai N, Kubota S, Tsubota K. Ozawa Y. Resveratrol Prevents Choroidal Neovascularization Development by Modulating the AMP-Activated Protein Kinase-NF kB Axis. Tomita Y, Nagai N, Suzuki M, Sasaki M, Ozawa Y. Evaluation of Functional Visual Acuity in Advanced Age-Related Macular Degeneration with Good Visual Acuity. Ozawa N, Nagai N, Mochimaru H, Tsubota K, Ozawa Y. A Case of Corneal Infiltration after Intravitreal Injection of Bevacizumab. Okamoto T, Izumi-Nagai K, Kurihara T, Tsubota K, Ozawa Y. A Case of Macular Hole Developed During Follow-Up Period of Age-Related Macular Degeneration after Anti-Vascular Endothelial Growth Factor Therapy. Sonobe H, Shinoda H, Uchida A, Tsubota K, Ozawa Y. Usage of Functional Visual Acuity System after Macular Hole Surgery. Fujinami K, Zernant J, Ozawa Y, Tsubota K, Robson AG, Holder GE, Webster AR, Alikmets R, Michaelides M, Moore AT. Clinical and Genetic Characteristics of Childhood-onset Stargardt Disease. Kamoshita M, Miyake S, Kobayashi S, Kurihara T, Nagai N, Tsubota K, Ozawa Y. Protective effect of lutein on the light-induced disruption of the cell-cell junction in the retinal pigment epithelium. Ban N, Inaba T, Miyake S, Tsubota K, Ozawa Y. Analysis of SIRT3 function in the mouse retina. ISCEV Symposium 2014 (International Society of Clinical Electrophysiology and Vision), Boston, MA, USA, 2014/7/20-24. Fujinami K, Zernant J, Ozawa Y, Tsunoda K, Tsubota K, Robson AG,, Alikmets R, Michaelides M, Moore AT, Holder GE. Clinical and Genetic Characteristics of Childhood-onset Stargardt Disease. ASRS 32nd Annual Meeting, San Diego, California, USA, 2014/8/9-13. Hirasawa M, Endo M, Kamoshita M, Miyake S, Narimatsu T, Nagai N, Tsubota K, Ozawa Y. Involvement of Angiopoietin-like 2 in Laser-induced Choroidal Neovascularization. Sasaki M, Kawashima M, Kawasaki R, Kawai M, Uchida A, Koto T, Mochimaru H, Shinoda H, Jie Jin Wang, Tsubota K, Ozawa Y. Associations of Serum Lipids with Macular Morphology in Patients without Diabetic Macular Edema. Ban N, Inaba T, Miyake S, Tsubota K, Ozawa Y. Light-dark Condition Regulates Sirtuin Genes in the Retina. Suzuki M, Nagai N, Izumi-Nagai K, Shinoda H, Koto T, Uchida A, Mochimaru H, Yuki K, Tsubota K, Ozawa Y. Baseline characteristics and response to intravitreal ranibizumab therapy for age-related macular degeneration. Kamoshita M, Kubota S, Yuki K, Miyake S, Nagai N, Umezawa K, Tsubota K, Ozawa Y. AMPK-NF-kB axis modulates visual function during inflammation. Narimatsu T, Ozawa Y, Miyake S, Kubota S, Hirasawa M, Nagai N, Shimmura S, Tsubota K. Disruption of cell-cell junctions and induction of pathological cytokines in the retinal pigment epithelium of light-exposed mice. Narimatsu T, Ozawa Y, Miyake S, Kubota S, Yuki K, Nagai N, Tsubota K. Biological effects of blocking blue and over visible light on the mouse retina. Tomita Y, Nagai N, Suzuki M, Sasaki M, Tsubota K, Ozawa Y. Evaluation of functional visual acuity in advanced age-related macular degeneration with good visual acuity. Ozawa Y. Neuroprotective response after photodynamic therapy: Role of vascular endothelial growth factor. Yuki K, Miyake S, Yoshida T, Tsubota K, Ozawa Y. Protective Role of Superoxide Dismutase 1 in the retina against NMDA-induced neurotoxicity. Miyake S, Takahashi N, Sasaki M, Kobayashi S, Tsubota K, Ozawa Y. Lutein-rich Marigold Extract Induces Gene Expression Of Phase II Antioxidants In The PC12D Neuronal Cells. Narimatsu T, Kubota S, Ogawa T, Miyake S, Nagai N, Ozawa Y, Tsubota K. Retinal Cell Damage by Exposure to Short-wavelength Light. Ban N, Miyake S, Takahashi N, Tsubota K, Ozawa Y. Sirt3 Expression In Ocular Tissues Of Mouse. Suzuki M, Kubota S, Hirasawa M, Miyake S, Noda K, Tsubota K, Kadonosono K, Ishida S, Ozawa Y. Histological Changes After Photodynamic Therapy (PDT) Combined With Anti-vascular Endothelial Growth Factor (VEGF) Therapy In The Mouse Retina. Hirasawa M, Endo M, Miyake S, Narimatsu T, Kubota S, Suzuki M, Ishida S, Tsubota K, Oike Y, Ozawa Y. Association of Angiopoietin-like Protein 2 with Inflammatory Signals in the Human Retinal Pigment Epithelium. Kamoshita M, Yuki K, Kubota S, Hirasawa M, Narimatsu T, Nagai N, Tsubota K, Ozawa Y. The Protective Effect of AICAR on the Neural Retina during Inflammation in mice. Sasaki M, Kawasaki R, Uchida A, Koto T, Mochimaru H, Shinoda H, Tien Y. Wong, Tsubota K, Ozawa Y. Associations Between Early Signs Of Age-related Macular Degeneration (AMD) And Risk Of AMD In The Fellow Eye In Patients With Unilateral AMD. International Society for Stem Cell Research (ISSCR) 10th annual meeting, Pacifico Yokohama, Yokohama, Japan. 2012/6/13-6/16. Yoshida T, Ozawa Y, Hirabayashi Y, Suzuki K, Mitani K, Kobayashi T, Ohyama M, Amagai M, Okada Y, Akamatsu W, Tsubota K, Shimmura S, Okano H. An analysis of the mechanisms of degradation of photoreceptor cells in a retinitis pigmentosa patient using iPS cells. Hirasawa M, Noda K, Suzuki M, Ozawa Y, Tsubota K, Ishida S. Cytokine regulation of transcriptional factor snail in human retinal pigment epithelium. Kubota S, Ozawa Y, Kurihara T, Sasaki M, Yuki K, Miyake S, Noda K, Ishida S, Tsubota K. Resveratrol attenuates diabetes-induced retinal inflammation by regulating an AMP-activated protein kinase/nuclear factor-kB axis. Miyake S, Takahashi N, Kobayashi S, Tsubota K, Ozawa Y. Oral administration of bilberry extract reduces retinal inflammation and protects visual function in mice. Narimatsu T, Kubota S, Miyake S, Hirasawa S, Kurihara T, Ishida S, Ozawa Y, Tsubota K. Translocation of beta-catenin in the retinal pigment epithelium after light-exposure. Sasaki M, Yuki Y, Kubota S, Miyake S, Kobayashi S, Ishida S, Tsubota K, Ozawa Y. Neuroprotective effect of an antioxidant lutein in the diabetic retina. Suzuki M, Ozawa Y, Kubota S, Hirasawa M, Miyake S, Narimatsu T, Noda K, Tsubota K, Kadonosono K, Ishida S. Role of vascular endothelial growth factor induced by photodynamic therapy. Yoshida T, Koizumi H, Yuki K, Hirabayashi Y, Suzuki K, Mitani K, Tsubota K, Shimmura S, Ozawa Y, Okano H. A gene therapy for a gene mutation in human iPS cell using helper-dependent adenoviral vector. Yuki K, Ozawa Y, Yoshida T, Tsubota K, Okano H. Isolation of retinal progenitor cells Derived from mouse iPS cells transfected with a promoter-Rx-DsRed. 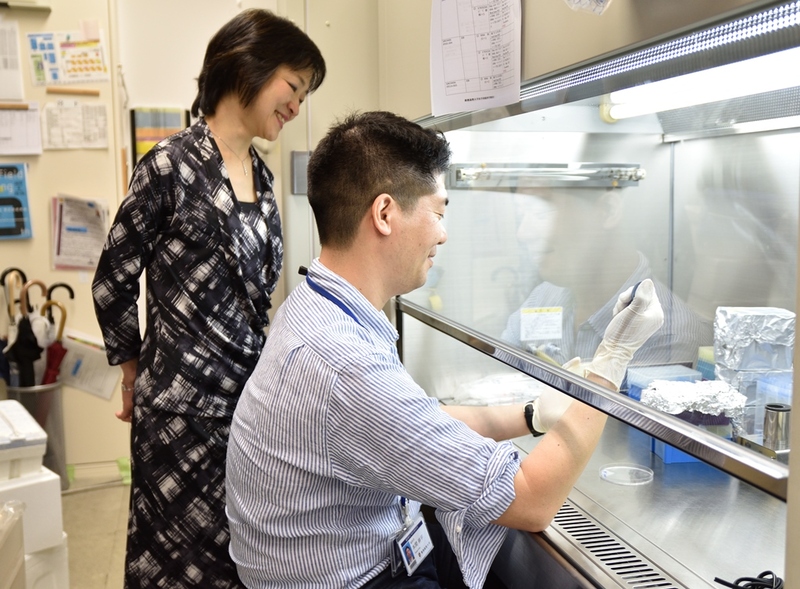 Yoshida T, Koizumi H, Yuki K, Suzuki K, Mitani K, Tsubota K, Shimmura S, Ozawa Y, Okano H. A gene therapy for a patient with a familial neurodegenerative disease using iPS cell. Ebinuma M, Kurihara T, Omoto M, Noda K, Kubota S, Ozawa Y, Shimmura S, Ishida S, Tsubota K. Yellow intraocular lens implantation prevents light-induced retinal damage in mice. Hirasawa M, Noda K, Suzuki M, Ogawa Y, Ozawa Y, Tsubota K, Ishida S. Localization of transcriptional factors associated with epithelial-mesenchymal transition in choroidal neovascularization. Kubota S, Kurihara T, Noda K, Ozawa Y, Oike Y, Ishida S, Tsubota K. Resveratrol suppresses ocular inflammation in the diabetic retina. Kurihara T, Kubota Y, Ozawa Y, Noda K, Johnson RS, Goda N, Ishida S, Tsubota K, Suda T, Okano H. von Hippel-lindau tumor suppressor protein is required for transition from embryonic to adult circulatory system in retina. Narimatsu T, Kurihara T, Kubota S, Ishida S, Ozawa Y, Tsubota K. Regulation of oxidative stress in light-induced retinal degeneration. Sasaki M, Ozawa Y, Kurihara T, Kubota S, Yuki K, Noda K, Kobayashi S, Tsubota K. Neuroprotective effect of an antioxidant lutein in light-induced retinal degeneration. Suzuki M, Noda K, Kubota S, Hirasawa M, Ozawa Y, Tsubota K, Mizuki N, Ishida S. Eicosapentaenoic Acid Suppresses Ocular Inflammation in Endotoxin-Induced Uveitis. Yoshida T, Koizumi H, Yuki K, Tsubota K, Okano H, Ozawa Y. Purification of iPS cells derived from a retinitis pigmentosa patient from feeder cells. Yuki K, Yoshida T, Kurihara T, Kubota S, Sasaki M, Noda K, Ishida S, Ozawa Y, Tsubota K. Superoxide dismutase 1 -/- mice as a model of normal-tension glaucoma. Kubota S, Kurihara T, Ebinuma M, Kubota M, Yuki K, Sasaki M, Noda K, Ozawa Y, Oike Y, Ishida S, Tsubota K. Resveratrol prevents light-induced retinal degeneration via suppressing activator protein-1 activation. Kurihara T, Kubota Y, Ozawa Y, Suda T, Okano H, Tsubota K. Spatial distribution of VEGF establishes proper retinal vascular patterning via VHL/HIF-1 pathway. Yoshida T, Koizumi H, Yuki K, Kubota S, Hirabayashi Y, Suzuki K, Mitani K, Kobayashi T, Ohyama M, Amagai M, Okada Y, Akamatsu W, Tsubota K, Shimmura S, Ozawa Y, Okano H. A gene therapy for a gene mutation in human iPS cell using helper-dependent adenoviral vector. Kurihara T, Ozawa Y, Ishida S, Tsubota K. Neurodegeneration via AngiotensinⅡType1 Receptor Signaling in the Retina. Satofuka S, Ichihara A, Norihiro Nagai K, Noda K, Ozawa Y, Fukamizu A, Tsubota K, Itoh H, Oike Y, Ishida S. (Pro)renin receptor promotes choroidal neovascularization by dually activating its signal transduction and tissue renin-angiotensin system. Kubota S, Kurihara T, Noda K, Ozawa Y, Oike Y, Ishida S, Tsubota K. Resveratrol suppresses ocular inflammation in endotoxin-induced uveitis. Ishida S, Satofuka S, Ichihara A, Nagai N, Noda K, Ozawa Y, Fukumizu A, Oike Y, Itoh H, Tsubota K. Receptor-Associated Prorenin System Contributes to Diabetes-Induced Retinal Inflammation. Ozawa Y, Nakao K, Tsubota K, Yoshimura A, Okano H. SOCS3 is required to temporally fine-tune photoreceptor cells differentiation. Yoshida T, Kume S, Harada T, Tsubota K, Ozawa Y. Expression of Epiplakin1 in the developing and adult mouse retina. Izumi-Nagai K, Nagai N, Ohgami K, Satofuka S, Ozawa Y, Tsubota K, Ohno S, Oike Y, Ishida S. Inhibition of choroidal neovascularization with an anti-inflammatory carotenoid astaxanthin. Kubota S, Kurihara T, Noda K, Ozawa Y, Oike Y, Ishida S, Tsubota. Resveratrol suppresses ocular inflammation in endotoxin-induced uveitis. Kurihara T, Ozawa Y, Nagai N, Oike Y, Okano H, Tsubota K, Ishida S. AngiotensinⅡType 1 Receptor (AT1R)-Mediated Post-Transcriptional Reduction of Synaptophysin in Neuronal Cells: Mechanism of Neurodegeneration. Ozawa Y, Nakao K, Kurihara T, Shimazaki T, Shimmura S, Ishida S, Yoshimura A, Tsubota K, Okano H. SOCS3 is required to protect photoreceptor cell function during retinal inflammation. 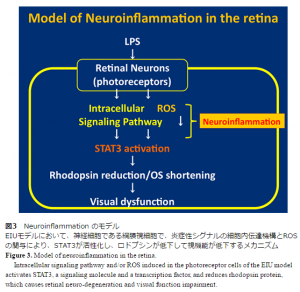 Sasaki M, Ozawa Y, Kurihara T, Noda K, Imamura Y, Kobayashi S, Ishida S, Tsubota K. Neuroprotective effect of an antioxidant, lutein, during retinal inflammation. Satofuka S, Ichihara A, Norihiro Nagai N, Noda K, Ozawa Y, Fukamizu A, Tsubota K, Itoh H, Oike Y, Ishida S. (Pro)renin receptor promotes choroidal neovascularization by dually activating its signal transduction and tissue renin-angiotensin system. Ishida S, Satofuka S, Norihiro Nagai N, Noda K, Ozawa Y, Fukamizu A, Tsubota K, Itoh H, Oike Y, Ichihara A. (Pro)renin receptor promotes choroidal neovascularization by dually activating its signal transduction and tissue renin-angiotensin system. Koto T, Nagai N, Mochimaru H, Izumi-Nagai K, Satofuka S, Shinoda H, Noda K, Kurihara T, Ozawa Y, Inoue M, Tsubota K, Ishida S. Anti-inflammatory effect of eicosapentaenoic acid on diabetic retina in vivo and cytokine expression in vitro. Kurihara T, Ozawa Y, Nagai N, Inoue M, Oike Y, Okano H, Tsubota K, Ishida S. Neuroprotective Effects of Angiotensin ⅡType 1 (AT1R) Receptor Blocker Telmisartan on Early Diabetic Retina. Mochimaru H, Nagai N, Hasegawa G, Kudo-Saito C, Yaguchi T, Satofuka S, Ozawa Y, Tsubota K, Kawakami Y, Ishida S. Immunization of mice with dendritic cells primed with epitope peptide derived from VEGF receptor 2 supresses choroidal neovascularization. Nagai N, Oike Y, Izumi-Nagai K, Koto K, Satofuka S, Shinoda S, Ozawa Y, Inoue M, Tsubota K, Ishida S. Suppression of choroidal neovascularization by inhibiting angiotensin-converting enzyme: minimal role of bradykinin. Ozawa Y, Nakao K, Shimazaki T, Shimmura S, Kurihara T, Ishida S, Yoshimura A, Tsubota K, Okano H. SOCS3 is required to temporally fine-tune photoreceptor cell differentiation. Satofuka S, Ichihara A, Nagai N, Koto T, Shinoda H, Ozawa Y, Tsubota K, Itoh H, Oike Y, Ishida S. Nonproteolytically activated prorenin promotes pathologic, but not physiologic, retinal neovascularization. The Association for Research in Vision and Ophthalmology (ARVO) , Annual meeting, Florida, U.S.A. 2006/4/30-5/4. 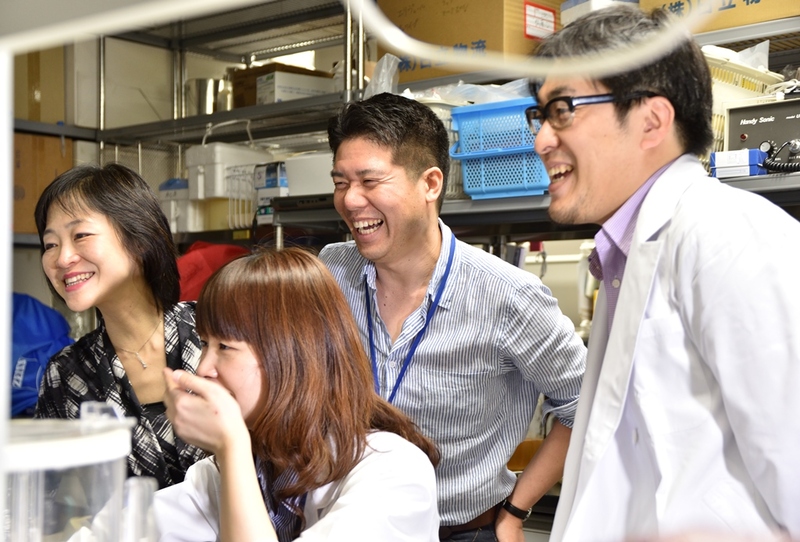 Izumi K, Nagai N, Ozawa Y, Kurihara T, Inoue M, Tsubota K, Mihara M, Ohsugi Y, Okano H, Ishida S. Suppression of choroidal neovascularization by blocking interleukin-6 receptor signaling. Koto T, Ouke Y, Nagai N, Satofuka S, Kurihara T, Mochimaru H, Ozawa Y, Inoue M, Tsubota K, Ishida S. Suppression of endotoxin-induced uveitis by calcium-shannel blockers. Kurihara T, Ozawa Y, Nagai N, K.Shinoda, Inoue M, Oike Y, Tsubota K, Ishida S, Okano H. Effects of angiotensin Ⅱ type 1 (AT1-R) receptor blocker on retinal neuronal cells in inflammatory status. Mochimaru H, Koto T, Nagai N, Satofuka S, Shinoda H, Kurihara T, Ozawa Y, Inoue M, Tsubota K, Ishida S. Suppressive effects of ω-3 fatty acid on choroidal neovascularization. Nagai N, Oike Y, Izumi K, Urano T, Kubota Y, Ozawa Y, Inoue M, Tsubota K, Suda T, Ishida S. Angniotension Ⅱ type 1 receptor-mediated inflammation is required for choroidal neovascularization. Ozawa Y, Kurihara T, Nagai N, Koto T, Satofuka S, Inoue M, Oike Y, Tsubota K, Ishida S, Okano H. STAT3-activation negatively contributes regulation of rhodopsin-expression in adult inflammatory retina. Satofuka S, Ichihara A, Nagai N, Yamashiro K, Koto T, Ozawa Y, Inoue M, Tsubota K, Oike Y, Ishida S. Supppression of ocular inflammation in endotoxin-induced uveitis by inhibiting nonproteolytic activation of prorenin. Shinoda H, Shimoda M, Nagai N, Koto T, Satofuka S, Ozawa Y, Inoue M, Tsubota K, Okada Y, Ishida S. Expression of ADAM28 in proliferative diabetic retinopathy. Ozawa Y, Nakao K, Shimazaki T, Kurihara T, Tsubota K, Okano H. Downregulation of STAT3 activation is required for presumptive rod photoreceptor cells to differentiate in the postnatal retina. 小沢洋子. 網膜光障害と抗酸化アプローチ. 巻頭言. 日本眼科学会雑誌119(2):53-54, 2015. 小沢洋子. III 医師が知っておきたいサプリメント 「3 眼科領域」. 機能性表示食品DATA BOOK :140-142, 2015. 坪田一男, 小沢洋子. 編集主幹 慢性炎症と疾患. 別冊BIO Clinica 4(3), 2015. 小沢洋子. 再生医療 新たな医療を求めて. iPS細胞を用いた網膜色素変性症の治療開発に向けた研究. 日本臨床増刊号No.1080:401-405, 2015. 小沢洋子. 網膜光障害と抗酸化アプローチ. 日本眼科学会雑誌119 (2):53-54, 2015. 小沢洋子. 特集　眼疾患と炎症　総論　眼の炎症は視機能を決める. 別冊BIO Clinica慢性炎症と疾患 4(3):10-11, 2015. 小沢洋子. 特集　着色IOL　光による網膜障害. IOL&RS 29(1):3-6, 2015. 小沢洋子. 特集　網膜分野の未来予想図　網膜分野の研究はどのように進むか？　抗血管療法の発展の歴史をふまえ、神経保護療法の開発に挑む. Retina Medicine 4 (1):20-24, 2015. 小沢洋子. 特集　大規模臨床試験一挙紹介　Overview（序）. Retina Medicine 4 (2):7, 2015. 藤波芳. 小沢洋子. 羞明・昼盲の鑑別疾患. 眼科57(4): 328-344, 2015. 小沢洋子. iPS細胞を用いた網膜色素変性症の治療開発に向けた研究. Ⅱ臨床応用を目指した基礎研究, 再生医療 日本臨牀 増刊号. 株式会社 日本臨牀社 401-405, 2015. 小川葉子, 小沢洋子. 全身性・Purtchser網膜症　専門医のための眼科診療クオリファイ21 眼救急疾患スクラテンブルシリーズ 総集編 大鹿哲郎, 大橋裕一, 坂本泰二 初版第一刷 中山書店 東京 264-268, 2014. 小沢洋子. 網膜移植の現状 腎と透析 6(75):865-868 2013. 小沢洋子. 「レスベラトロールの基礎と応用」第8章CRM (caloric restriction mimetics) としての作用とメカニズム. シーエムシー出版, 76-85, 2012. 小沢洋子. 「食品と疾病―ルテイン」5．眼におけるルテインの効果とそのメカニズム. Functional Food 19号, 2012. 小沢洋子.「V. 眼底疾患」 6. 加齢黄斑変性とその前駆病変. 眼科 眼科薬物療法,2012. 結城賢弥. 「緑内障手術とEBM」トラベクレクトミー合併症のEBM 眼科手術　VOL.25 No.1, 33-37, 2012. 三宅誠司. 「レスベラトロールの基礎と応用」 第9章レスベラトロールの抗酸化作用 シーエムシー出版, 87-97, 2012. 小沢洋子. 新生血管に対する抗VEGF療法 Pharma Medica 特集「加齢黄班変性」. 小沢洋子. Pharma Medica 老年医学2011年4月号 特集「加齢黄班変性の診断治療の最近の進歩」Topics. 加齢黄班変性と酸化ストレス制御. 小沢洋子. 細菌性眼内炎.l.感染性眼内炎症疾患. 「眼内炎症診療のこれから」. 眼科プラクティス16:68-73, 2007. 小沢洋子, 榛村重人, 坪田一男. 臨床への展開 眼の再生医療. ティッシュエンジニアリング 2005:165-170, 2005. 小沢洋子. 網膜再生-未分化細胞を増殖させ、分化誘導する. 医学の歩み 211(10):920-925, 2004. 小沢洋子. 第1章 眼科研修へのアドバイス 5 大学・病院医師と開業医の関係. 眼科研修ノート改定第2版: 70-72, 2015. 小沢洋子. 第1章 眼科研修へのアドバイス 6 指導医との関係. 眼科研修ノート改定第2版: 73-75, 2015. 小沢洋子. 第1章 眼科研修へのアドバイス 7 MR（医療情報従事者）との関係. 眼科研修ノート改定第2版: 76-77, 2015. 小沢洋子. 第一特集　6患者さんへの生活指導. 眼科ケア17(6):46-52, 2015. 小沢洋子. ES細胞由来の網膜色素上皮細胞移植による中長期安全性と有効性. MMJ Vol.11(No.6): 336-337, 2015. 小沢洋子. 抗VEGF治療セミナー, 3 マクジェンの特徴. あたらしい眼科 Journal of the Eye Vol. 31 No.4 537-538. 2014. 小沢洋子, 坪田一男.先進医療NAVIGATORⅡ再生医療・がん領域の実用化へのTOPICS. Ⅱ. 診療科各科と再生医療の最前線　10眼科と再生医療. 122-124, 2014. 小沢洋子. 第2回日本人のヒット論文 –本音で語る苦労話- 糖尿病網膜症における(プロ)レニン受容体の血管新生活動性への関与. RETINA Medicine 1(2):83-90, 2013. 小沢洋子. 注目のイチオシ論文 –やさしく解説- No.2 視細胞移植による視機能回復. RETINA Medicine 1(2):80-82, 2013. 小沢洋子、坪田一男. 先端医療 NEVIGATOR 第3章再生医療 6 iPS細胞を網膜の再生医療. 105-107, 2013. 稲葉隆明、小沢洋子、坪田一男. Cutting Edgeコーナー「長寿遺伝子SIRT1アップデート」Medical Science Digest Vol.39 No.5 2013. 小沢洋子. 再生に向けたヒト人工多能性幹細胞を用いた網膜色素変性症の病態解明. RPあぁるぴぃ88 JRPS(8), 2010. 結城賢弥. 緑内障セミナー「交通事故と緑内障」　あたらしい眼科　Vol.32 (6) 837-838, 2015. 結城賢弥. 「緑内障患者への生活指導（食事、運動、運転など）」Medical View Point Vol.35 No.12 2015. 小沢洋子. 座談会　網膜研究・診療の未来予想図. 先端医学社, Retina Medicine 4 (1). 2015. 小沢洋子. 連載　日本人のヒット論文　本音で語る苦労話インタビュー対談　第6回　後眼部へのポリマー性経強膜マルチドラッグデリバリーデバイス. 先端医学社, Retina Medicine 4 (1). 2015. 小沢洋子. 連載　日本人のヒット論文　本音で語る苦労話インタビュー対談　第7回　加齢黄斑変性発症にかかわるアジア人特有の遺伝子変異. 先端医学社, Retina Medicine 4 (2). 2015. 小沢洋子. アグレッシブルーム　感覚器における予防医療. メディカルレビュー社, 予防医療アグレッシブ 2 (3). 2015. 石田晋, 小沢洋子, 近藤峰生, 中澤徹, 平見恭彦, 藤波芳, 安川力, 山城健児. 網膜研究・診療の未来予想図. 先端医学社, Retina Medicine 4 (1). 2015. 小沢洋子. 注目のイチオシ論文 –やさしく解説- 胎生期のメラノプシン依存性光応答はマウスにおける眼の発生を制御する. RETINA Medicine 2(2):73-74, 2013. 小沢洋子. 第3回日本人ヒット論文 –本音で語る苦労話- 継続的な光照射ストレスと続発するMCP-1活性化は加齢黄斑変性の原因因子となる. RETINA Medicine 2(2):75-81, 2013. 小沢洋子. ブルーライトについて. 健康教室 第757集 66-68. 2013. 小沢洋子. Retina施設めぐり「研究室編　慶應義塾大学医学部眼科学教室」Retina Medicine 10(1),2012. 久保田俊介、小沢洋子. 坪田一男. Functional Food 15 医農連携と機能性食品3 肥満と糖尿病 網膜症を気にする人に機能性食品は役に立ちますか？. 小沢洋子. 慶應義塾大学医学部眼科学教室紹介. 「勤務医のページ」. 日本の眼科78:1739-1740, 2007. 小沢洋子. 光暴露によるRPE・脈絡膜の病的変化. 第119回日本眼科学会総会 シンポジウム 加齢黄斑変性発症の分子メカニズムと予防戦略. 札幌. 2015/4/16-19. 小沢洋子. 眼科基礎研究スキルトランスファー1 続々・基本戦術とスキルを身につけよう タンパク・遺伝子産物解析法のABC. 第119回日本眼科学会総会 シンポジウム 加齢黄斑変性発症の分子メカニズムと予防戦略. 札幌. 2015/4/16-19. 小沢洋子. Biological influence of blue light. 清泉インターナショナルスクール. 東京. 2015/4/24. 小沢洋子. 最近の網膜変性疾患に対するアプローチ iPSテクノロジーの応用. JRPS. 滋賀. 2015/5/24. 小沢洋子. 加齢性網膜疾患に対するルテインの効果. 第15回日本抗加齢医学会総会シンポジウム 8 感覚器老化に対するantioxidant の効果. 福岡. 2015/5/29-31. 小沢洋子. 眼科医療におけるサプリメントの可能性. 第15回日本抗加齢医学会総会ランチョンセミナー 機能性表示制度で変わる！眼科領域におけるエイジングサプリメント. 福岡. 2015/5/29-31. 小沢洋子. RVO/DMEと抗VEGF療法. Novartis STEP. 東京. 2015/6/7. 小沢洋子. RVO/DMEと抗VEGF療法. Novartis STEP. 横浜. 2015/6/21. 小沢洋子. 加齢性網膜病態とNeuroinflammation. 第36回日本炎症・再生医学会シンポジウム. 東京. 2015/7/21-22. 小沢洋子. 光による網膜病態のメカニズム. 中国四国眼科医会講習会. 徳島. 2015/7/26. 小沢洋子. RVO/DMEと抗VEGF療法. Novartis STEP. 大阪. 2015/8/5. 小沢洋子. 網膜静閉塞症とVEGF療法(Retinal Vein Occlusion). 参天製薬株式会社社内勉強会. 東京. 2015/8/5. 小沢洋子. 糖尿病黄斑浮腫 VEGF阻害剤による治療戦略. バイエル薬品株式会社黄斑疾患セミナー. 札幌. 2015/8/30. 小沢洋子. ルテインと黄斑色素密度. 株式会社わかさ生活　眼抗加齢研究会ランチョンセミナー. 東京. 2015/9/16. 小沢洋子. 加齢黄斑変性に対する治療戦略. 第82回香川大学眼科研究会. 香川. 2015/10/3. 小沢洋子. RVO/DMEと抗VEGF療法. Novartis STEP. 東京. 2015/10/17. 小沢洋子. ルテインの生物学的重要性. 参天製薬株式会社モーニングセミナー. 第69回臨床眼科学会. 名古屋. 2015/10/22-25. 小沢洋子. AMD診療の実際 現場で必要な基礎知識. Novartis STEP. 大宮. 2015/11/14. 小沢洋子. RVO/DMEと抗VEGF療法. Novartis STEP. 多摩. 2015/11/18. 小沢洋子. RVO/DMEと抗VEGF療法. Novartis STEP. 京都. 2015/12/11. 小沢洋子. 私のバックリング～ホントの初心者のための工夫. 第11回眼科手術の寺子屋　東京　2015/7/2. 小沢洋子. RVOに伴う黄斑浮腫. 第13回Macular Image Conference(MIC), 東京, 2014/1/27. 小沢洋子. これからの加齢黄斑変性(AMD)治療－適切な治療プロトコールを求めて－. 第3回 福岡 Macula Study, 福岡, 2014/1/31. 小沢洋子. 加齢黄斑変性(AMD)の予防を考える Age-Related Eye Disease Study 2 (AREDS2)の結果を受けて. PreserVision2 発売記念講演会, 2014/2/21. 小沢洋子. DMEに対する抗VEGF療法. Midtown Retina Club　パネルdiscussion DME, 2014/2/22. 小沢洋子. 網膜疾患とiPS細胞 加齢黄斑変性と網膜色素変性症.草加市 八潮市医師会, 埼玉, 2014/3/12. 小沢洋子. ルテインの生物学的重要性～基礎と臨床～. 加齢黄斑変性の最新の知見と予防的戦略, 第118回日本眼科学会総会,東京, 2014/4/3. 小沢洋子. 美しい免疫染色とウエスタンブロットのために. 眼科基礎研究スキルトランスファー1　～続・基本戦術とスキルを身につけよう～, 第118回日本眼科学会総会, 東京, 2014/4/4. 小沢洋子. 健康産業のニーズ 眼の健康とルテインの関係. 慶大藤沢キャンパス　ヘルスサイエンスシリーズ, 2014/4/7. 小沢洋子. 網膜静脈閉塞症(RVO)に伴う黄斑浮腫に対する抗VEGF療法への期待. 第133回広島県眼科医会講習会, 広島, 2014/4/20. 小沢洋子. 東京黄斑　panel discussion2. 東京, 2014/5/24. 小沢洋子. 光が網膜にもたらす効果. 第12回COSMOS, 埼玉, 2014/5/30. 小沢洋子. ブルーライトカットが網膜視細胞に及ぼす効果. 第4回ブルーライト研究会, 東京, 2014/6/14. 小沢洋子. 糖尿病黄斑浮腫に対する抗VEGF療法. 第48回日本眼炎症学会 モーニングセミナー, 東京, 2014/7/6. 小沢洋子. 糖尿病黄斑浮腫に対する抗VEGF療法. DME座談会, 東京, 2014/8/9. 小沢洋子. 過剰な光は眼を障害する. 日本美容医療協会レーザー講習会, 東京, 2014/9/3. 小沢洋子. 網膜への影響. 第8回眼抗加齢医学研究会ブルーライト, 東京, 2014/9/14. 小沢洋子. 抗VEGF療法の適応と効果. Novartis STEP 慶應2014, 東京, 2014/9/17. 小沢洋子. RVO/DMEと抗VEGF療法. Novartis STEP, 東京,2014/10/25. 小沢洋子. AMD & mCNV. Novartis STEP, 東京,2014/10/26. 小沢洋子. 黄斑疾患にOCTを活用する. 第4回 症例に学ぶOCT研究会, 東京, 2014/12/3. 永井紀博. 慶應義塾大学病院における抗VEGF療法. ノバルティスティスファーマ株式会社研修会, 東京, 2014/6/19. 永井紀博. 無治療のポリープ状脈絡膜血管症（PCV）に対するラニビズマブ、アフリベルセプト硝子体内注射の1年成績. AMD Expert Clinical Conference, 東京, 2014/7/13. 永井紀博. 当院の救急外来で必要とされる眼・視覚系疾患の診方. 慶應義塾大学病院平成26年度初期臨床研修ランチョンセミナー, 東京, 2014/10/2. 永井紀博. 黄斑疾患、私の取り組み　網膜中心静脈閉塞症　-抗VEGF薬の使い方-.第62回日本臨床視覚電気生理学会モーニングセミナー, 東京, 2014/10/4. 小沢洋子、平沢学、田久保圭誉、三宅誠司、遠藤元誉、梅澤一夫、尾池雄一、坪田一男. マウス脈絡膜新生血管モデルにおけるAngiopoietin-like protein 2 (Angptl2) の役割. 安藤 亮, 野田航介, 外丸詩野, 鴨下衛, 小沢洋子, 納富昭司, 久冨智朗, 神田敦宏, 石田 晋. プロテアソーム機能低下と視細胞変性. 鈴木美砂, 永井紀博, 永井香奈子, 篠田肇, 内田敦郎, 厚東隆志, 持丸博史, 富田洋平, 佐々木真理子, 坪田一男, 小沢洋子. 狭義加齢黄斑変性に対するpro re nateによるラニビズマブ硝子体注射. 永井紀博, 久保田俊介, 坪田一男, 小沢洋子. レスベラトロールによる脈絡膜新生血管の抑制. 小林文貴, 永井紀博, 永井香奈子, 鈴木美砂, 三宅誠司, 小林沙織, 坪田一男, 小沢洋子. 若年者における黄斑色素密度の検討. 堀野武, 内田敦郎, 持丸博史, 厚東隆志, 永井紀博, 篠田肇, 篠田啓, 大出尚郎, 小沢洋子, 坪田一男. ボリコナゾール内服による視覚障害から視放線の病変が見つかった再生不良性貧血の一例. 永井紀博, 小林文貴, 永井香奈子, 鈴木美砂, 持丸博史, 内田敦郎, 厚東隆志, 篠田肇,三宅誠司, 小林沙織, 坪田一男, 小沢洋子. 健常者における黄斑色素密度と血清カロテノイド濃度の相関. 厚東隆志, 林李恵, 篠田肇, 永井紀博, 内田敦郎, 持丸博史, 坪田一男, 小沢洋子. 網膜静脈分枝閉塞症に伴う黄斑浮腫に対するベバシズマブテノン嚢下注射の効果の検討. 持丸博史, 前田高宏, 厚東隆志, 内田敦郎, 永井紀博, 篠田肇, 坪田一男, 小沢洋子. 新規過活動膀胱治療薬ミラベグロン投与後早期に発症した網膜静脈分枝閉塞症の一例. Yoshida T, Ozawa Y, Suzuki K, Hirabayashi Y, Suzuki S, Koizumi H, Yuki K, Kobayashi T, Ohyama M, Amagai M, Okada Y, Akamatsu W, Matsuzaki Y, Mitani K, Shimmra S, Tsubota K, Okano H. An analysis of the mechanisms of degradation of photoreceptor cells in a retinitis pigmentosa patient using iPS cells. 鈴木美砂, 小沢洋子, 久保田俊介, 平沢学, 石田晋. PDTにおけるVEGFの役割. 西恭代, 篠田肇, 結城賢弥, 内田敦郎, 厚東隆志, 小沢洋子, 坪田一男. 視力1.0以上の網膜上膜に対する実用視力測定の有効性. 吉田哲, 小泉春菜, 結城賢弥, 平林由香, 鈴木啓一郎, 三谷幸之助, 小林哲郎, 大山学, 天谷雅行, 岡田洋平, 赤松和土, 坪田一男, 榛村重人, 小沢洋子, 岡野栄之. ヘルパー依存型アデノウイルスを用いたヒトiPS細胞の遺伝子変異治療. 久保田俊介, 小沢洋子, 栗原俊英, 佐々木真理子, 結城賢弥, 三宅誠司, 野田航介, 石田晋, 坪田一男. 糖尿病網膜症におけるAMPキナーゼの役割について. 三宅誠司, 高橋矩子, 佐々木真理子, 小林沙織, 坪田一男, 小沢洋子. ビルベリーエキスによる眼炎症抑制効果の解析. 結城賢弥, 吉田哲, 栗原俊英, 平沢学, 小沢洋子, 坪田一男. SOD1ノックアウトマウスにおける網膜神経節細胞数の減少. 久保田俊介, 小沢洋子, 栗原俊英, 佐々木真理子, 結城賢弥, 三宅誠司, 野田航介, 石田晋, 坪田一男. 糖尿病網膜症におけるAMPキナーゼの役割. 三宅誠司, 佐々木真理子, 結城賢弥, 栗原俊英, 小林沙織, 坪田一男, 小沢洋子. 光モデルマウスにおけるルテインの網膜保護作用. 三宅誠司, 佐々木真理子, 結城賢弥, 栗原俊英, 小林沙織, 坪田一男, 小沢洋子. マウス光障害網膜におけるルテインのアポトーシス抑制効果. 厚東隆志, 篠田肇, 永井紀博, 内田敦郎, 持丸博史, 小沢洋子. まどのむこうのそのまたむこう. 鈴木美砂, 佐々木真理子, 厚東隆志, 持丸博史, 内田敦郎, 永井香奈子, 永井紀博, 篠田肇, 坪田一男, 小沢洋子. 加齢黄斑変性に対するラニビズマブ治療における無効症例の検討. 川島弘彦, 篠田肇, 持丸博史, 内田敦郎, 厚東隆志, 永井紀博, 小沢洋子, 坪田一男. 内境界膜剥離併用硝子体手術で中心窩網膜分離が改善したX染色体性若年性網膜分離の1例. 加藤浩士, 内田敦郎, 厚東隆志, 篠田肇, 野田航介, 坪田一男, 小沢洋子. 硝子体術後に意識レベルとADLの改善を認めた両眼Terson症候群の一例. 篠田肇, 内田敦郎, 厚東隆志, 野田航介, 坪田一男, 小沢洋子. 近視性網膜分離に対する内境界膜剥離(＋空気置換)併用硝子体手術. 佐々木真理子, 栗原俊英, 久保田俊介, 結城賢弥, 石田晋, 小沢洋子. ルテインによる糖尿病マウスモデルにおける網膜神経保護効果の解析. 久保田俊介, 栗原俊英, 小沢洋子, 石田晋, 坪田一男. レスベラトロールの網膜光障害に対する保護効果(レスベラトロールによる網膜保護). 久保田俊介, 小沢洋子, 石田晋, 坪田一男. 糖尿病網膜症に対するSIRT1の抗炎症効果. 三宅誠司, 佐々木真理子, 小林沙織, 坪田一男, 小沢洋子. Food factorによる眼炎症抑制効果の解析. 三宅誠司, 高橋矩子, 佐々木真理子, 小林沙織, 坪田一男, 小沢洋子. 眼炎症に対するビルベリー抽出物の視機能保護効果. 川北哲也, 小沢洋子, 川崎佳巳, 坪田一男. インストラクションコース 眼科医に必要なサプリメント(食)の基礎知識. 佐々木真理子, 篠田肇, 厚東隆志, 内田敦郎, 坪田一男, 小沢洋子. 加齢黄斑変性に対するAREDSサプリメントの摂取状況. 広越亜希子, 内田敦郎, 厚東隆志, 篠田肇, 佐々木真理子, 坪田一男, 小沢洋子. 最近5年間の当院での極低出生体重児における未熟児網膜症. 富田洋平, 野田航介, 内田敦郎, 川村亮介, 鈴木浩太郎, 篠田肇, 小沢洋子, 坪田一男, 石田晋. 黄斑浮腫に続発した黄班円孔に対して硝子体手術を施行した2例. 栗原俊英, 久保田義顕, 小沢洋子, 田久保圭誉, 野田航介, Randall Johnson, 末松誠, 合田亘人, 石田晋, 坪田一男, 須田年生, 岡野栄之. pVHLは、網膜における胎児循環から成体循環への以降に必要である. 久保田俊介, 栗原俊英, 野田航介, 小沢洋子, 石田晋, 坪田一男. 抗酸化物質レスベラトロールの糖尿病網膜症への影響. 佐々木真理子, 栗原俊英, 坪田一男, 小沢洋子. ルテインによるマウス光障害モデルにおける網膜神経保護効果の解析. 持丸博史, 高橋枝里, 厚東隆志, 野田航介, 小沢洋子, 谷原秀信, 佐谷秀行, 石田晋, 坪田一男. ヒアルロン酸およびヒアルロン酸受容体CD44の脈絡膜新生血管における関与. 佐々木真理子, 小沢洋子, 栗原俊英, 野田航介, 石田晋, 坪田一男. ルテインによるマウス網膜炎症モデルにおける網膜神経保護効果の解析. 鴨下衛, 厚東隆志, 内田敦郎, 篠田肇, 野田航介, 坪田一男, 石田晋, 小沢洋子. 加齢黄班変性に伴う漿液性網膜剥離に対するペガプタニブ硝子体内投与の効果. 渡辺一弘, 篠田肇, 厚東隆志, 内田敦郎, 野田航介, 坪田一男, 小沢洋子. コロイデレミアに併発した黄斑円孔網膜剥離に硝子体手術が奏効した1例. 内田敦郎, 厚東隆志, 篠田肇, 野田航介, 小沢洋子. 角膜移植後の網膜剥離に対し広角観察システム硝子体手術を施行された3症例. 厚東隆志, 篠田肇, 野田航介, 内田敦郎, 坪田一男, 小沢洋子. 両眼性同時発症の網膜中心静脈閉塞症から多発性骨髄腫の診断に至った1例. 野田航介, 川村亮介, 鈴木浩太郎, 篠田肇, 今村裕, 小沢洋子, 石田晋. 硝子体手術後に発症した黄斑円孔に薬物治療が奏効したCRVOの1例. 厚東隆志, 尾池雄一, 永井紀博, 小沢洋子, 野田航介, 篠田肇, 緒方雅郎, 坪田一男, 石田晋. Calcium-channel blockerによる眼内炎症の抑制. 栗原俊英, 小沢洋子, 永井紀博, 尾池雄一, 岡野栄之, 坪田一男, 石田晋. 糖尿病網膜におけるAT1Rを介したシナプトタンパクの分解および網膜機能障害. Yoko Ozawa, Keiko Nakao, Toshihide KKurihara, Takuya Shimazaki, Shigeto Shimmura, Susumu Ishida, Akihiko Yoshimura, Kazuo Tsubota, Hideyuki Okano. SOCCS3 is required to protect photoreceptor cell function during retinal inflammation. 稲垣絵海, 篠田肇, 川村亮介, 内田敦郎, 鈴木浩太郎, 野田航介, 小沢洋子, 石田晋, 坪田一男. 転移性脈絡膜腫瘍に対してBevacizumab硝子体内投与を施行した1例. 尾関直毅, 篠田肇, 野田航介, 小沢洋子, 篠田啓, 坪田一男, 石田晋. 経角膜電気刺激にて視力改善を認めたBEST病の1症例. 森山あづさ, 野田航介, 内田敦郎, 川村亮介, 篠田肇, 小沢洋子, 坪田一男, 石田晋. Macular microholeに対してトリアムシノロンテノン嚢下注入を行った一例. 山中美穂, 野田航介, 内田敦郎, 川村亮介, 篠田肇, 小沢洋子, 坪田一男, 石田晋. 硝子体手術後に生じた黄斑円孔に対してトリアムシノロン投与を行った網膜中心静脈閉塞症の一例. 伴紀充, 川村亮介, 内田敦郎, 鈴木浩太郎, 篠田肇, 野田航介, 小沢洋子, 石田晋. 裂孔原性網膜剥離に対する20G硝子体手術と23、25G小切開硝子体手術の術後成績. Ozawa Y, Nakao K, Kurihara T, Shimazaki T, Shimmura S, Ishida S, Yoshimura A, Tsubota K, Okano H. 網膜炎症による視機能障害に対するSOCS3の神経保護効果の解析 Roles of STAT3/SOCS3 Pathway in Regulating the Visual Function and Ubiquitin-Proteasome-dependent Degradation of Rhodopsin during Retinal Inflammation. 遠藤安希子, 井上真, 川村亮介, 鈴木浩太郎, 篠田肇, 小沢洋子, 今村裕, 石田晋. 網膜剥離を合併した角膜白斑の1例. 川村亮介, 鈴木浩太郎, 篠田肇, 今村裕, 小沢洋子, 石田晋, 井上真. 術中・術後の脈絡膜出血の検討. 鈴木浩太郎, 井上真, 川村亮介, 篠田肇, 小沢洋子, 今村裕, 石田晋. 水流を用いた残存硝子体膜の除去. 平沢学, 今村裕, 川村亮介, 鈴木浩太郎, 篠田肇, 小沢洋子, 石田晋, 井上真. 網膜色素上皮剥離を伴う黄班ドルーゼンに対する単純硝子体切除. 小沢洋子, 中尾啓子, 島崎琢也, 榛村重人, 栗原俊英, 石田晋, 坪田一男, 岡野栄之. 網膜視細胞(rod)の分化調節機構の解析～SOCS3は分化開始時期を正に制御する. 里深信吾, 市原淳弘, 永井紀博, 厚東隆志, 小沢洋子, 石田晋. (プロ)レニン受容体の実験的脈絡膜血管新生への関与. 小沢洋子, 中尾啓子, 島崎琢也, 栗原俊英, 石田晋, 坪田一男, 岡野栄之. 網膜視細胞の分化調節機構―SOCS3による正の制御～SOCS3は視細胞分化を開始させる. 栗原俊英, 小沢洋子, 永井紀博, 井上真, 尾池雄一, 岡野栄之, 坪田一男, 石田晋. 早期糖尿病網膜症における網膜機能障害に対するAT1R阻害剤の神経保護効果. 永井香奈子, 永井紀博, 里深信吾, 小沢洋子, 井上真, 坪田一男, 大神一浩, 大野重昭, 石田晋. ルテインによる実験的脈絡膜新生血管の抑制. 厚東隆志, 永井紀博, 篠田肇, 里深信吾, 栗原俊英, 小沢洋子, 井上真, 坪田一男, 石田晋. エイコサペンタエン酸の摂取による実験的脈絡膜血管新生の抑制効果. 永井香奈子, 永井紀博, 小沢洋子, 三原昌彦, 大杉義征, 岡野栄之, 坪田一男, 石田晋. IL-6/STAT3経路の阻害による脈絡膜新生血管の抑制. 石田晋, 永井香奈子, 永井紀博, 小沢洋子, 岡野栄之, 坪田一男. 脈絡膜血管新生におけるIL6/STAT3経路の関与. 石田晋, 永井香奈子, 永井紀博, 小沢洋子, 三原昌彦, 大杉義征, 坪田一男, 尾池雄一, 岡野栄之. 脈絡膜血管新生におけるIL6/STAT3経路の関与と炎症制御による新規治療の可能性. 栗原俊英, 小沢洋子, 永井紀博, 井上真, 尾池雄一, 坪田一男, 石田晋, 岡野栄之. アンジオテンシンⅡ1型受容体阻害剤の早期糖尿病網膜症に対する神経保護効果. 川村亮介, 井上真, 鈴木浩太郎, 篠田肇, 今村裕, 小沢洋子, 石田晋. トリアムシノロンアセトニドのテノン嚢下注射による眼圧上昇. 細田進悟, 川村亮介, 石田晋, 小沢洋子, 今村裕, 篠田肇, 鈴木浩太郎, 井上真. 特発性黄斑円孔に対する25ゲージ経結膜硝子体手術後の視野の検討. 小沢洋子, 中尾啓子, 島崎琢也, 榛村重人, 栗原俊英, 石田晋, 坪田一男, 岡野栄之. SOCS3 is required to temporally fine-tune photoreceptor cell differentiation. 網膜視細胞の分化調節機構―SOCS3は視細胞分化を開始させる. 小沢洋子, 栗原俊英, 永井紀博, 篠/田啓, 尾池雄一, 坪田一男, 石田晋, 岡野栄之. 眼炎症による網膜機能障害に対するアンジオテンシンⅡ1型受容体阻害剤の効果. 永井紀博, 尾池雄一, 小沢洋子, 坪田一男, 石田晋. アンジオテンシンⅡ1型受容体阻害薬による脈絡膜血管新生の抑制. 第6回Tokyo Retina Club, 東京, 2006/2/10-11. 中島剛, 鈴木浩太郎, 篠田肇, 今村裕, 小沢洋子, 石田晋, 井上真. CRAOに対して硝子体手術による動脈内血栓除去を試みた1例. 永井紀博, 厚東降志, 里深信吾, 持丸博史, 小沢洋子, 坪田一男, 井上真, 石田晋. アンジオテンシンⅡ1型受容体阻害による糖尿病モデル網膜血管炎症の抑制. 栗原俊英, 小沢洋子, 永井紀博, 篠田啓, 井上真, 尾池雄一, 坪田一男, 石田晋, 岡野栄之. 眼炎症による網膜機能障害に対するアンジオテンシンⅡ1型受容体阻害剤の効果. 永井紀博, 里深信吾, 厚東隆志, 篠田肇, 栗原俊英, 小沢洋子, 井上真, 坪田一男, 石田晋. アンジオテンシンⅡ1型受容体拮抗薬による脈絡膜新生血管の抑制. 厚東隆志, 永井紀博, 小沢洋子, 井上真, 坪田一男, 石田晋. Effect of ω-3 Fatty Acid on Suppression of Choroidal Neovascularization. 永井香奈子, 永井紀博, 小沢洋子, 岡野栄之, 坪田一男, 石田晋. Interleukin-6受容体阻害による実験的脈絡膜新生血管の抑制. 永井紀博, 尾池雄一, 永井香奈子, 里深信吾, 厚東隆志, 小沢洋子, 坪田一男,　石田晋. AngiotensinⅡ1型受容体阻害による抗炎症に介した脈絡膜新生血管の抑制. 里深信吾, 市原淳弘, 永井紀博, 厚東隆志, 篠田肇, 小沢洋子, 井上真, 坪田一男, 石田晋. プロレニンの非蛋白融解的活性化の阻害による眼内炎症の抑制. 永井紀博, 泉香奈子, 小沢洋子, 坪田一男, 山城健児, 石田晋. アンジオテンシンⅡ1型受容体シグナルのブロックによる眼内炎症の抑制. 永井紀博, 永井香奈子, 小沢洋子, 三原昌彦,　大杉義征, 岡野栄之, 坪田一男, 石田晋. Interleukin-6受容体阻害による脈絡膜新生血管の抑制. 佐藤裕理, 篠田肇, 鈴木浩太郎, 中島剛, 小沢洋子, 石田晋, 井上真. トリアムシノロン併用光線力学療法の長期予後. 篠田肇, 鈴木浩太郎, 中島剛, 小沢洋子, 石田晋, 井上真. Microcoaxial白内障手術併用25ゲージ硝子体手術. 杉坂英子, 篠田啓, 鈴木浩太郎, 中島剛, 篠田肇, 小沢洋子, 石田晋, 井上真. 硝子体手術中の視体験の描出. 鈴木浩太郎, 中島剛, 篠田肇, 今村裕, 小沢洋子, 石田晋, 井上真. 25ゲージ網膜下注入針を用いた黄班下手術. 栗原俊英, 鈴木浩太郎, 永井紀博, 里深信吾, 中島剛, 篠田肇, 野田実香, 野田航介, 小沢洋子, 石田晋, 井上真. 吸引機能を付加した強膜バックリング術に用いる新しいスパーテル. 厚東隆志, 永井紀博, 篠田肇, 里深信吾, 栗原俊英, 小沢洋子, 井上真, 石田晋. エイコサペンタエン酸の摂取による実験的脈絡膜血管新生の抑制効果. 里深信吾, 永井紀博, 厚東隆志, 小沢洋子, 井上真, 石田晋. プロレニンの非タンパク融解的活性化の阻害による網膜血管新生の抑制. 永井香奈子, 永井紀博, 小沢洋子, 栗原俊英, 井上真, 石田晋. Interleukin-6受容体阻害による実験的脈絡膜新生血管の抑制. 永井紀博, 永井香奈子, 厚東隆志, 里深信吾, 小沢洋子, 井上真, 石田晋. レニン・アンジオテンシン系とカリクレイン・キニン系の実験的脈絡膜血管新生への関与. 小沢洋子, 中尾啓子, 島崎琢也, 栗原俊英, 石田晋, 井上真, 坪田一男, 岡野栄之. 網膜視細胞の分化調節機構―STAT3活性による負の制御. 永井紀博, 篠田肇, 厚東隆志, 小沢洋子, 篠田啓, 井上真, 坪田一男, 山城健児, 石田晋. アンギオテンシンⅡ1型レセプターのブロックによる眼内炎症の抑制. 厚東隆志, 永井紀博, 里深信吾, 小沢洋子, 篠田啓, 井上真, 石田晋, 坪田一男. アンギオテンシンⅡ1型受容体阻害による眼内炎症の抑制. 永井紀博, 厚東隆志, 里深信吾, 小沢洋子, 石田晋, 坪田一男. アンジオテンシンⅡ1型受容体阻害による脈絡膜新生血管新生の抑制. 井上真, 鈴木浩太郎, 中島剛, 今村裕, 小沢洋子, 篠田啓, 石田晋. 25ゲージ硝子体カッターの強度. 井上真, 篠田啓, 玉沖朋子, 鈴木浩太郎, 中島剛, 篠田肇, 小沢洋子, 石田晋. Bimanual極小切開白内障手術併用25ケージ硝子体トリプル手術. 佐藤裕理, 鈴木浩太郎, 中島剛, 小沢洋子, 篠田啓, 石田晋, 井上真. トリアムシノロン併用光線力学療法の短期治療効果. 鈴木浩太郎, 井上真, 中島剛, 篠田肇, 今村裕, 小沢洋子, 篠田啓, 石田晋. 黄斑円孔網膜剥離に対する黄斑バックル併用硝子体手術の円孔閉鎖. 玉沖朋子, 篠田啓, 大出尚郎, 及川亜希子, 小沢洋子, 石田晋, 井上真. 黄斑疾患に対する硝子体手術前後での視野解析. 永井紀博, 里深信吾, 厚東隆志, 持丸博史, 篠田肇, 栗原俊英, 小沢洋子, 井上真, 石田晋. アンギオテンシンⅡ1型受容体阻害による脈絡膜新生血管の抑制. 中島剛, 井上真, 鈴木浩太郎, 篠田肇, 今村裕, 小沢洋子, 篠田啓, 石田晋. 鈍的障害による眼球破裂における手術既往の有無と網膜剥離について. 小沢洋子, 中尾啓子, 島崎琢也, 岡野栄之. 視細胞の分化調節機構―活性化STAT3による負の制御―. 加藤浩士, 内田敦郎, 厚東隆志, 篠田肇, 坪田一男, 小沢洋子. 硝子体手術後にADLが改善した両眼性Terson症候群の１例. 眼科手術 25(4)587-90,2012. 鴨下衛, 結城賢弥, 坪田一男. Overhanging blebに対し濾過胞強膜縫着術を施行した一例. 眼科 54：447-453, 2012. 遠藤安希子, 川村亮介, 鈴木浩太郎, 篠田肇, 小沢洋子, 今村裕, 石田晋, 井上真, 坪田一男. 角膜白斑を合併した網膜剥離の1例. 眼科49:841-846, 2007. 佐藤裕理, 篠田啓, 鈴木浩太郎, 小沢洋子, 石田晋, 井上真. 酢酸トリアムシノロンのテノン嚢下投与併用光線力学療法. 眼科 49:71-77, 2007. 小沢洋子. 特集インタビュー　視機能とサプリメント. 食品化学新聞社, FOOD Style 21, 2015年11月号. 2015. 小沢洋子.「紙上 診察室」加齢黄斑変性の治療法は, 東京新聞, 暮らし18, 2014/8/5. 小沢洋子. 機能性素材探訪 急増するAMDに備え「目」の健康のために. 健康ジャーナル, 2014/5/20. 小沢洋子.「中高年の目の病気」特集 ドクターにお聞きしました, 第163号からだ情報 すこぶる, 2013/4/14. 堀祥子, 持丸博史, 栗原俊英, 内田敦郎, 永井紀博, 篠田肇, 小沢洋子. 眼球破裂に伴う網膜剥離に対して、二度の硝子体手術を施行し良好な術後経過を得られた一例. 谷口沙織, 小川葉子, 榛村重人, 小沢洋子, 石田晋, 坪田一男. アンジオテンシンⅡタイプ1受容体阻害薬(ARB)による慢性移植片対宿主病(cGVHD)涙腺における線維化の抑制効果. 筒井絵里沙, 厚東隆志, 篠田肇, 内田敦郎, 永井紀博, 持丸博史, 坪田一男,　小沢洋子. 眼内レンズ落下／偏位に対する硝子体手術の検討. 堀内直樹, 持丸博史, 厚東隆志, 内田敦郎, 永井紀博, 篠田肇, 小沢洋子. 特発性黄斑上膜に対する硝子体手術症例の解析. 植木小百合, 鈴木美砂, 永井香奈子, 永井紀博, 小沢洋子. 加齢黄斑変性症例に対する内眼手術における留意点の検討. 鈴木美砂, 久保田俊介, 平澤学, 石田晋, 小沢洋子. PDTにおけるVEGFの役割. 成松俊雄, 久保田俊介, 平澤学, 三宅誠司, 小沢洋子. 可視光による網膜色素障害の分子機構の解析. 小林文貴, 永井紀博, 永井香奈子, 鈴木美砂, 小沢洋子. 若年健常者における黄班色素密度の検討. 常吉由佳里, 篠田肇, 西恭代, 厚東隆志, 内田敦郎, 永井紀博, 坪田一男, 小沢洋子. 実用視力測定法を用いた特発性網膜上膜術後の視機能変化の評価. 小川卓範, 三宅誠司, 成松俊雄, 久保田俊介, 小沢洋子, 坪田一男. 光暴露時の網膜細胞障害のメカニズム解析. 久保田俊介, 栗原俊英, 小沢洋子, 石田晋. 糖尿病モデルマウスにおける酸化ストレスおよびNF -κB抑制を介したレスベラトロールの抗炎症作用.